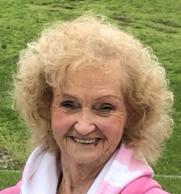 Leah Faith Lashinsky-Wible, 80, of Raystown Road, Everett, PA, passed away on Thursday, April 4, 2019 at UPMC Altoona Hospital. She was born on July 22, 1938 in Finleyville, Pennsylvania; a daughter of the late Pauline O. (Greenawalt) Corbin. On May 9, 1963 in Winchester, VA; she was united in marriage to Robert E. Wible. He preceded her in death on January 20, 2013. She is survived by children Gary Lee Lashinsky married to Tammy (Hood), Bedford, PA; Larry Don Lashinsky married to Karen (Andrews), Hollidaysburg, PA; Brenda Lee Wible, Roaring Spring, PA; David Allen Wible married to Sandra (Bulvin), Dauphin, PA; twelve grandchildren: Matthew Burkett and Courtney Wible; Mindy Coy, Rebecca Rector and Jessica Lashinsky; Elise, Andrew and Nicholas Lashinsky; Kristy Crist and Ray Blair; Grayson Robert Wible and Parker Wible; eighteen great grandchildren; three siblings Leroy Corbin married to Tonia (Brode), Saxton, Shirley Miraurtz, Geneva, OH and Eileen married to Dean Tedrow, Austintown, OH. She was preceded in death by a daughter Loretta Lynn Wible and siblings Allen Corbin and Corolyn Weimer. She was a graduate of Robertsdale High School Class of 1956. Over the years Leah worked at Lions Manufacturing, Altoona General Hospital as a respiratory therapist and lastly working at First National Bank in proof/bookkeeping department until her department. She loved reading, shopping, yard sailing, camping and participating in a local bowling league. Leah was a former member of the Rebekah Lodge #356. Funeral Service will be held on Tuesday, April 9, 2019 at 11:00 A.M. at the Everett United Methodist Church with Pastor Fred Rudy officiating. Family and Friends may call at Akers Funeral Home, 299 Raystown Road, Everett on Monday, April 8, 2019 from 4-8 P.M. and on Tuesday from 10:00 A.M. until the hour of service at the church. Burial will be held privately at the Everett Cemetery. If friends so desire memorial contributions may be made in memory of Mrs. Wible to the Everett United Methodist Church, 221 East Main Street, Everett, PA 15537.